Description: MARCOM's "Respiratory Protection and Safety" Compliance Manual has been created specifically to help facilities comply with OSHA's revised Respiratory Protection Standard (29 CFR 1910.103,134). The Manual reviews the regulation and compliance requirements, and contains a complete "fill-in-the-blank" written Respiratory Protection Program. By filling in the blanks in the "Respiratory Protection Program" section, any facility can create a complete written program that will meet the Standard's compliance requirements. Many respiratory problems only become clearly evident well after the original exposure. Yet once they occur, most respiratory problems are "chronic" and long lasting. To further protect employees from these hazards, both OSHA and NIOSH have issued changes to their Respiratory Protection Training Requirements. This Compliance Manual includes those changes, such as fit testing protocols and cleaning/disinfecting procedures. 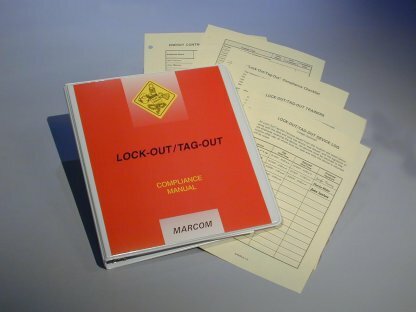 Areas covered in the Manual include the history and background of the regulation, copies of the standard, major compliance requirements, an overview of available respiratory equipment, a "fill-in-the-blank" written Respiratory Protection Program, forms and procedures, and a glossary of terms.